Sawadeeka! Any reader love to eat Thai foods like I do? Yuppie! Me and boyfie are huge fans of Thai foods. 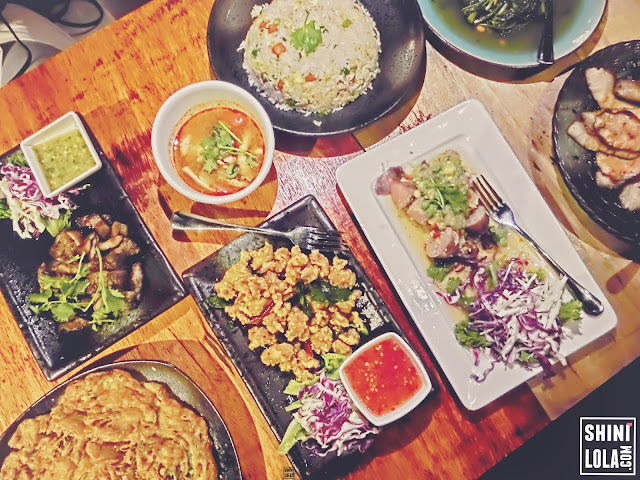 Beside of Japanese foods, Thai foods are our second favourite. I'm glad to be invited by Superthai Restaurant to try on their delicious foods. Basically that night was a girl's night. we ordered this and that and can you imagine five of us actually finished all of them? Continue reading to find out how we think about their foods. Annyeonghaseyo! Today post is about a famous Korean brand - Innisfree! 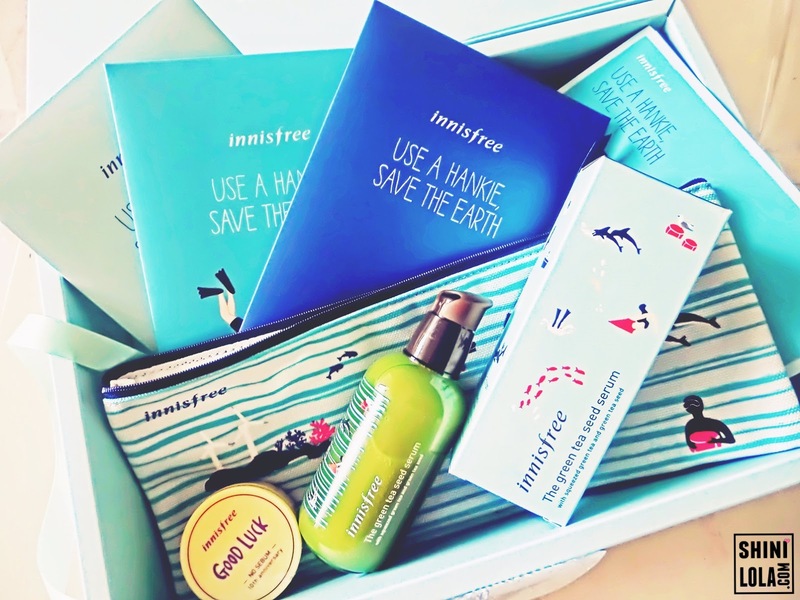 I'm pretty sure you girl heard about this brand if you're a Korean beauty fans. Remember to read this post to the end because today I will be talk about their latest and new coming in products! Of course, as you can see from the photo above, this post will be including the limited edition No-Sebum Mineral Powder and the lovely Eco-Hankie kit. Continue reading to find out more. Hola! Well, I'm quite a half Johorian now because my boyfie is from Johor and sometime I followed him back to Johor. 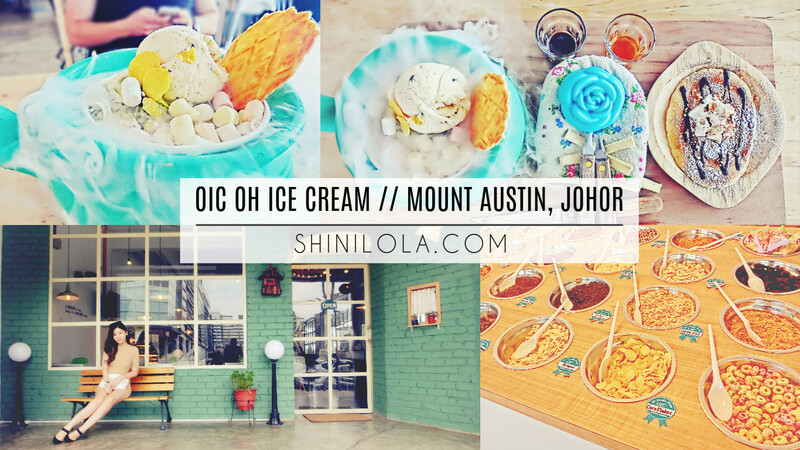 After I blogged about Johor Day Trip (LINK HERE) and I feel excited to explore more cafes in Johor. 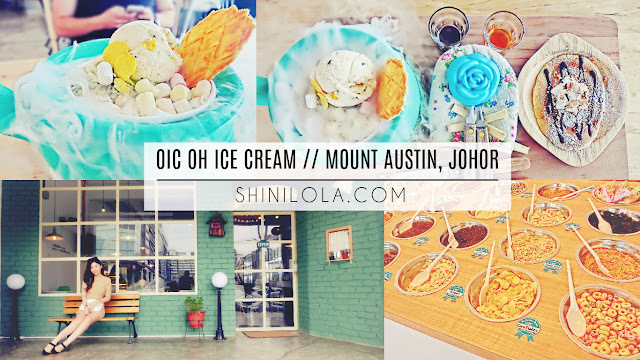 And this time, I'm visited to OIC - Oh Ice Cream Cafe which is located at Mount Austin, Johor Bahru. Konnichiwa! Every women deserve to be beautiful and we must pamper our skin daily in order to achieve flawless skin. Remember I blogged about the Eversoft Skinz Youth Recall Booster Mist (LINK HERE) previously? This time I will continue with the series which is Eversoft Skinz UV-White Instant Fairness Mask. Hola! Every woman loves to dress pretty. However, sometime some of ladies can't afford expensive fashion pieces. No worries, all you need now is just surf Sammydress.com. Sammydress is a leading global online wholesale supplier of the latest in Womens Clothing, Men and Women's Shoes, Bags and Accessories, Casual Dresses, Accessories, Fashion Jewelry, Intimate Lingerie, Wigs, Men's Clothing, Children's Toys, Home & Living, Lifestyle Products and many more fantastic items and gift ideas. 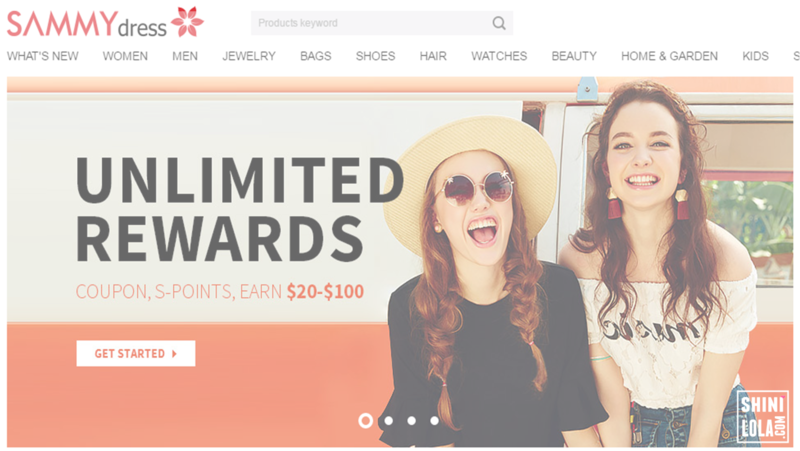 Our commitment is to provide a wide range of high quality, trendy fashion clothing at stunning factory direct prices along with a class-leading customer service experience to our worldwide community of customers. Bonjour! It's a waffle day! Today I'm introducing a restaurant that specialize in waffles. 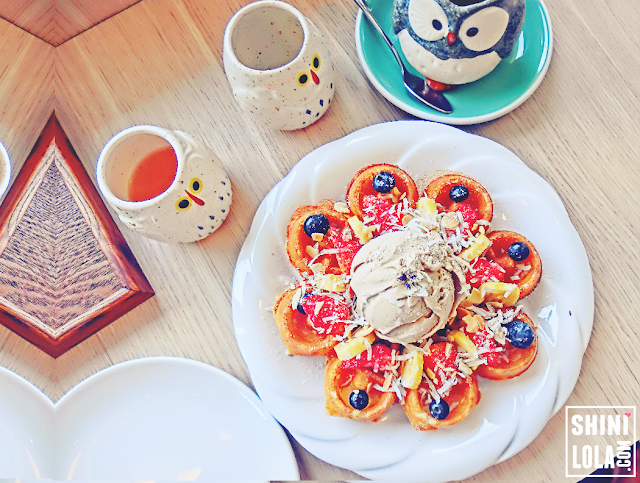 If you're a waffle fans then you should miss this. In case you didn't noticed, I blogged about The Owls Cafe before (please refer HERE). However, the cafe only focus on the waffles and I never try their main course before. Now, they opened a new branch called New Chapter by The Owls Cafe. I'm not sure whether is the same owner but you definitely need to pay a visit. Hola! 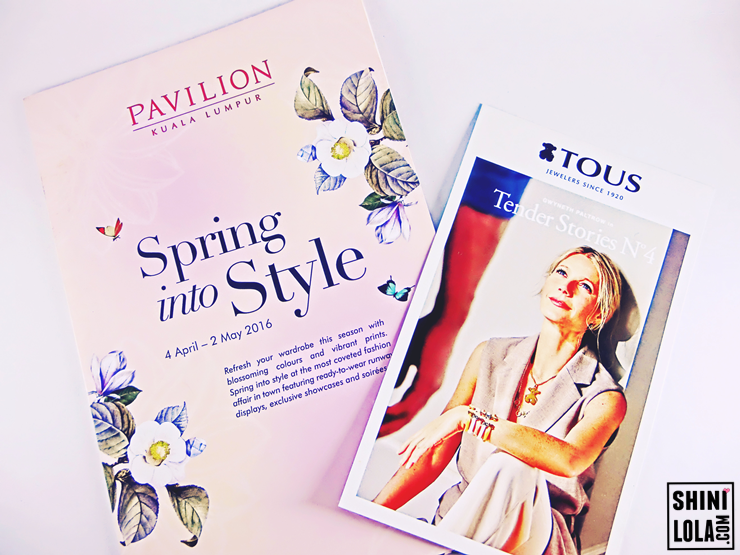 Today post is about a Spanish brand that I have been heard since I was in high school - TOUS. 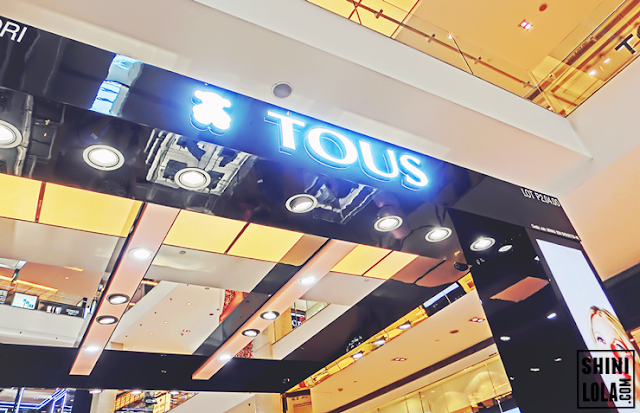 For your info, TOUS is a Spanish jewelry brand with the teddy bear as the logo / symbol. What's best? It just launched at Pavilion, KL on last month. I'm glad I'm invited to join the opening. 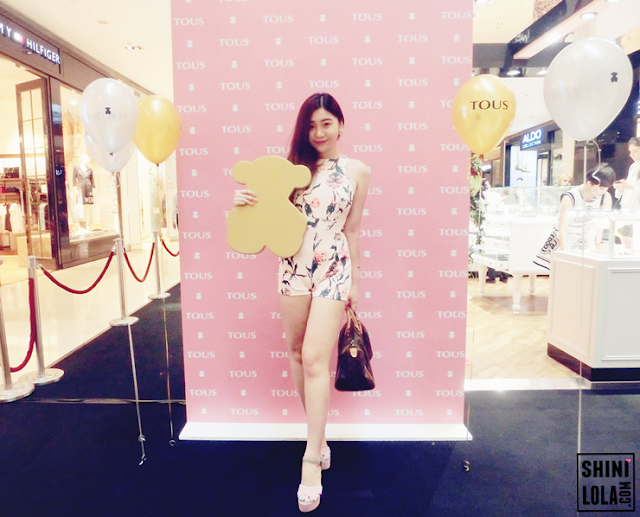 TOUS team have worked with passion and rigor to make TOUS what it is today, an affordable luxury lifestyle brand. Along with a committed, dedicated team, they are faithful to our original values as jewelers dating back to 1920. So, you guys noticed their icon is actually a Teddy Bear right? Have you wonder what is the reason? Coinciding with the company’s expansion and with a clear creative call, in 1985 Rosa Oriol was inspired by what would later become the brand’s symbol. 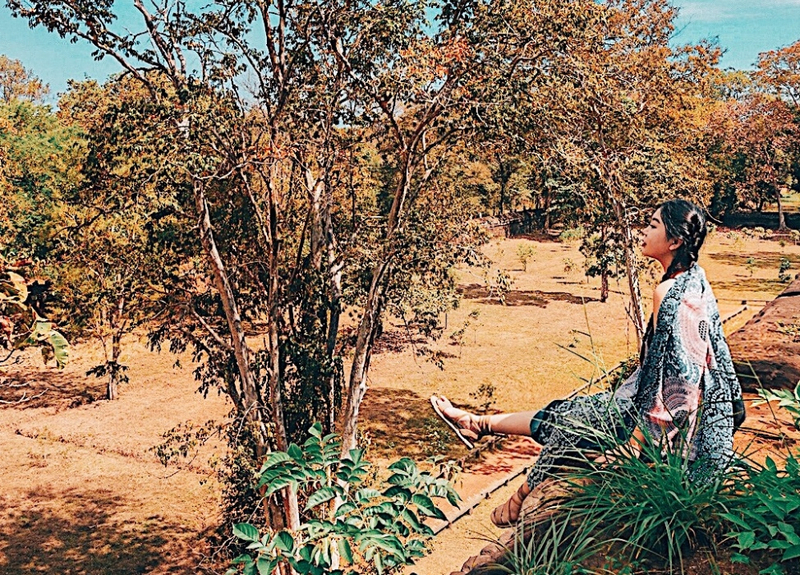 For more than 25 years of history, the brand’s emblem, the bear, has warmed the hearts of all sorts of people with a youthful spirit and has become a lucky charm for many of them. With its rounded shapes and tender nature, it was designed to evoke the sweetest memories of childhood. I'm quite impressed the way they display the showcase. 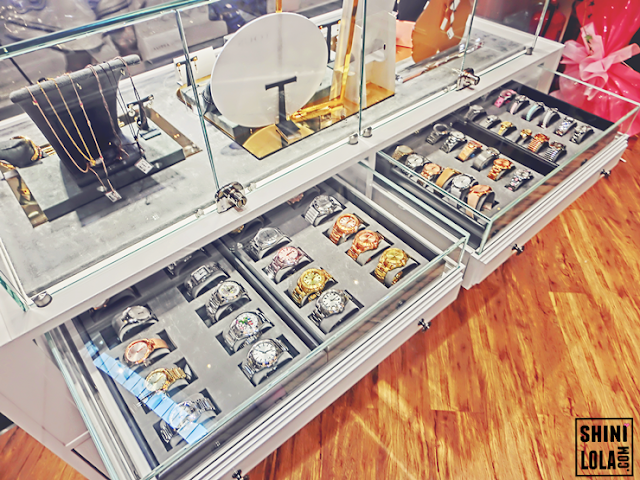 Customers can actually pull out the drawer for more products. It's not just work for this showcase but for every showcase as well. It is interesting as you may pull it out by your own to discover more products, perhaps you can find what you desire. 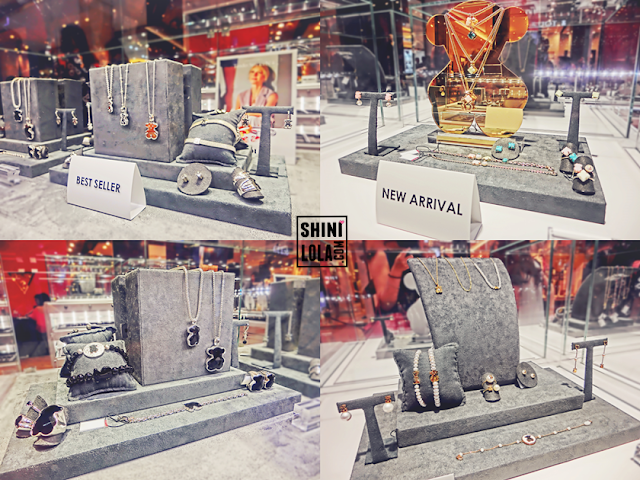 They also labelled the jewelries for example Best Seller and New Arrival etc so you may have a look on the pieces. You may check out other series like the black silver and white pearl range. They also have some pieces for the Tender Stories Nº4 2016 Spring / Summer Collection. 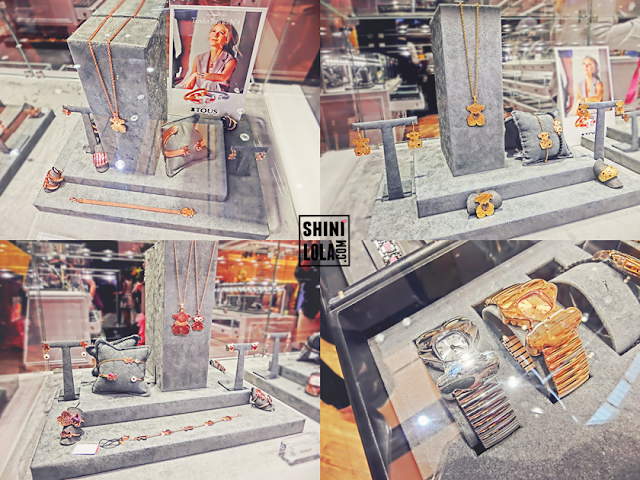 Those rose gold jewelries are so beautiful and the teddy bear watches are attractive. They have varieties of earrings from small crystal, pearl and bigger size crystal earrings. I would definitely purchase their big size crystal earrings as they are so eye catchy! Model of that day was supermodel Amber Chia. The fashion stylist Andrea Wong had picked some jewelries and put it on the model to demonstrate how to match with our outfits. Seriously I got no knowledge of how to mix and match with the jewelries especially when the jewelries is colourful. Thank god I learnt a lot on that day. DJ of the day was Patricia K and she done a fabulous job! Since it is jewelries fashion event so she spin with soft and chill music on that day. I'm lucky enough to selfie with the two gorgeous ladies. 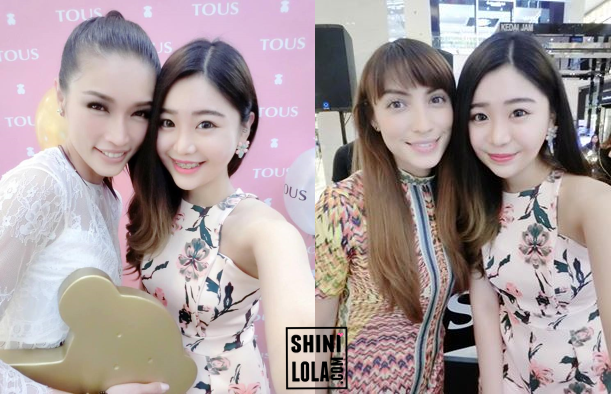 Amber Chia is so tall and skinny (of course, she's a model) and really down to earth. I heard a lot of friends saying she is super friendly and she really is! On the other hand, I used to saw Patricia K via social media and this is my very first time to meet her. She is truly beautiful. Special thanks to TOUS for the gifts. 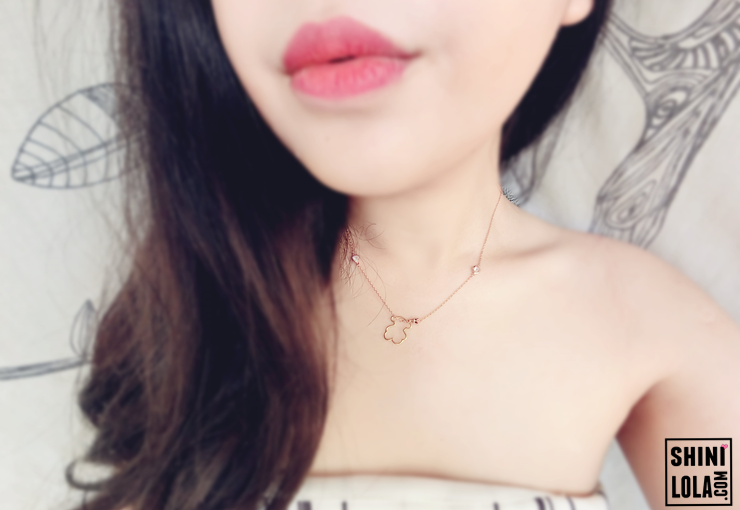 I love the gold teddy bear pendant. It's easy to match with any outfits and I guess I can rock it with my style. Last but not least, please check out their Tender Stories Nº4 video as follows. For more info, you may drop by their outlet at Tous Jewelry Lot No. 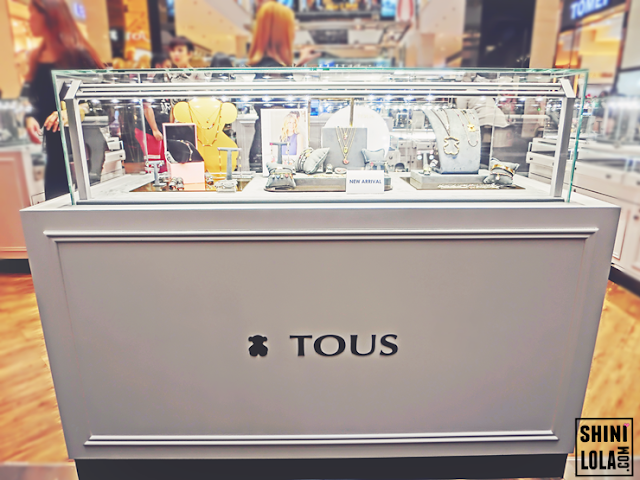 P2.04, Level 2, Pavilion or visit their Facebook : TousJewelry. Hope you guys enjoy shopping there. Till here. Loves. Hola! I just changed my hair colour from damaged light brown to healthy dark brown shade. Yup, I'm tired of colouring my hair colour into Green, Pink, Violet and Blue. I guess it's time to back to basic colour first. Yup, I dye my hair at my favourite hair salon - Jeff Lee The Hair Company. If you read my previous post HERE, then you should know I always done my hairdo here. The reason I stick to this salon is because they provides good services, fabulous outcome and of course convenient for my place. Annyeonghaseyo Yes, it's all about Korean trend now. People started to listen to Korean song, watching Korean drama, adapt into Korean fashion and of course, fall in love with the Korean beauty. Although I'm not really a fans of Korean but I love the Korean beauty including their skincare and cosmetic.